As the Pere Marquette Car Ferry No. 18 was sinking, Captain Peter Kilty ordered his wireless operator to send a CQD, the first on the Great Lakes. Captain Peter Kilty was familiar with Lake Michigan and its moods. The son of Great Lakes mariner, Patrick Kilty, Peter was born in St. James, Michigan, in 1860, and received his education in the local schools. He also educated himself with reading, observing, and working on fishing schooners to gain practical knowledge of navigation. While still a boy, he worked on schooners near his home and gained at least thirteen years experience. In 1882, Peter Kilty married Miss Mary Elizabeth Nackerman of Marquette, Michigan, and they established a home in Ludington, Michigan. The couple had three children: Alfred John, Claude P., and Mary Elizabeth. In 1889, Captain Peter Kilty became captain of a fishing tug on Lake Onekama. He served as master of the Adrian, that ran between Manistee and Onekama and next took charge of the steamer John D. Doore for one season and then he spent six seasons as mate on the Petoskey, which sailed between Chicago and Petoskey, Michigan. In 1896, Peter Kilty became captain of the Ann Arbor No. 1, the first government car ferry to cross the Great Lakes. For two years, Captain Kilty successfully sailed the Ann Arbor No. 1, and then on May 20, 1898, he accepted the position of master of the car ferry steamer Pere Marquette No. 18, which had been built in Cleveland in 1898 at a cost of $450,000. It was then was the largest car ferry in the world. On September 9, 1910, Captain Peter Kilty guided the Pere Marquette No. 18 out of Ludington, Michigan bound for Milwaukee, Wisconsin. Although the Pere Marquette No. 18 was making its first trip across Lake Michigan after 60 days of working under charter for a Chicago excursion company, Captain Kilty had no cause for alarm. The government inspectors at Ludington had inspected the ship and crew and pronounced everything shipshape and seaworthy. The steamer carried a full cargo of 32 cars- 11 cars of coal and 21 of miscellaneous freight and over 50 passengers and crew. The voyage had been uneventful until the Pere Marquette No. 18 reached the middle of Lake Michigan. Suddenly, an oiler burst into the Captain’s quarters, reporting that the Pere Marquette No. 18 had taken on a huge amount of water. Captain Kilty set a direct course for Sheboygan and ordered wireless operator Stephen Sczepanek to send a distress signal. The captain and the crew battled for four hours to save the Pere Marquette No. 18, or at least to bring her closer to shore. They pushed nine of the cars overboard in an effort to lighten the load and keep the ferry afloat. The night of September 9, 1910, turned out to be a clear night on Lake Michigan, even though the winds were strong and the water icy cold. Suddenly, the wireless operator on Pere Marquette No. 17, the sister ship of Pere Marquette No. 18, received a distress signal. CQD…CQD….the same international distress call that the wireless operators of the RMS Titanic would use on a cold April night in the North Atlantic Ocean two years later. Lake Michigan distances aren’t as trackless as the Atlantic Ocean, so rescue ships reached the foundering Pere Marquette No. 18 within a few hours of receiving the message. The crew of Pere Marquette No. 17 arrived at the foundering Pere Marquette No. 18, about twenty miles off of Sheboygan, Wisconsin. Horrified rescuers on the Pere Marquette No. 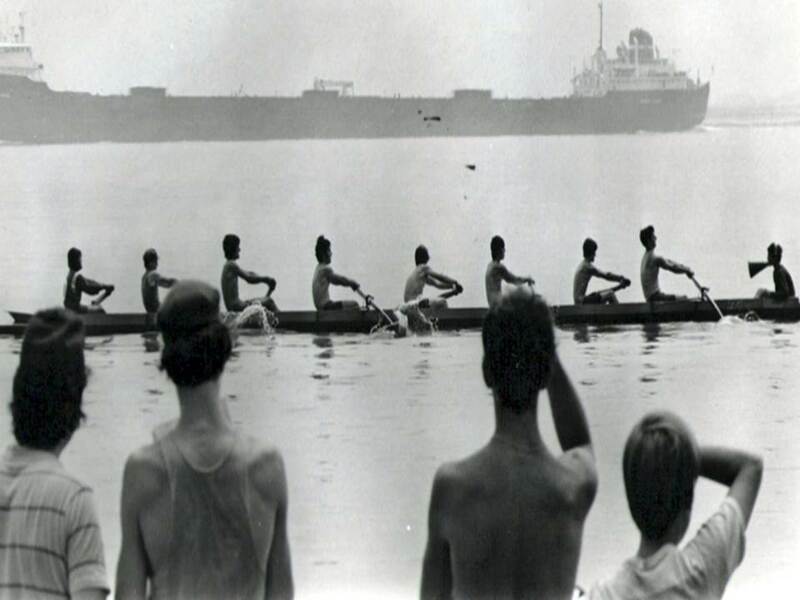 17 watched the Pere Marquette No.18 sink, her black bow disappearing into the lake. Screams and cries echoed across the dark water as people thrashed in the in its icy cold grip. Several miles away a lone boat carrying survivors, rolled in the surge and swell of the waves. As the Pere Marquette No. 17 positioned itself to pull people from the water, two of its own crewmen fell into Lake Michigan and drowned. Altogether, the Pere Marquette No. 17 picked up 33 survivors. The Pere Marquette No. 20, had also left Ludington, Michigan, bound for its regular trip to Milwaukee, with a crew mostly from Ludington as were the crew of the Pere Marquette No.18. The Pere Marquette No. 20 was the third ship to reach the sinking Pere Marquette No. 18. Just before it arrived, the fishing tug Tesler, from Port Washington, had steamed onto the scene and picked up six of the dead, including Captain Peter Kilty. The tug crew transferred the Captain Kilty and his fellow victims to Pere Marquette No. 17. The victims of the Pere Marquette No. 18 included the Ship’s Master, Captain Peter Kilty, and all of the officers -Joseph Brezinski, mate of Manitowoc; W.H. Brown, second mate of Ludington; S.F. Scepanck, purser of Worcester, Massachusetts; E.R. Leedham, chief engineer of Ludington; Chalmer Rosencrans, first assistant engineer of Ludington; and Paul Renner, second assistant engineer of Ludington. Seventeen crewmen, two passengers, and two stowaways- two brothers from Detroit – also perished. Marine experts believed that the string of 28 cars became loose as the wind and waves tossed the Pere Marquette No. 18 around and that Lake Michigan water rolled into the ships stern which was wide open. 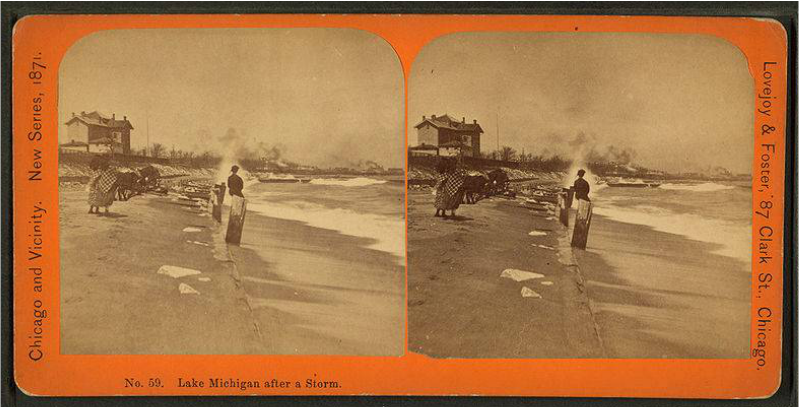 Mariners believed this was a likely scenario because the waves were rolling from the north, the most dangerous direction on Lake Michigan, while the Pere Marquette No. 18 headed southwest by south. The sinking of Pere Marquette No. 18 was the first fall disaster on the Great Lakes in 1910. According to Beeson’s Marine Directory of the Northwestern Lakes, 1911, the car ferry Pere Marquette No. 18 and the cars and their contents were all insured. Captain Kilty’s widow and children received $1,000 for the Ship Masters’ Association. Wireless operator Stephen Sczepanek was the first wireless operator to die in service on the Great Lakes.